This page has been accessed 6,307 times. Chief Master Sergeant Bruce Porter was born in Wahoo, Nebraska, and was graduated from Wahoo Public High School. Following enlistment in 1969 and basic military training at Lackland AFB, Texas, he was assigned to the 1st Geodetic Survey Squadron, Francis E. Warren AFB, WY as a geodetic surveyor (agrimensor geodésico). He completed NCO Leadership School, Forbes AFB, Kansas in 1972, winning the Commandant's Speech Award. He completed Advanced Geodetic Survey School, Fort Belvoir, Virginia as class Honor Graduate in 1974, and MAC NCO Academy, Norton AFB, California as a Distinguished Graduate in 1977. Following completion of Academic Instructor School at Maxwell AFB, Alabama, he was assigned to the Defense Mapping School at Ft. Belvoir, VA, earning both Senior and Master Instructor ratings. In May 1982 Chief Porter was assigned to the Geodetic Survey Squadron, Warren AFB, WY in his current position. He completed the U. S. Air Force Senior Noncommissioned Officer Academy, Gunter AFS, AL, in 1986. He was graduated in 1982 from the Community College of the Air Force with an Associate in Applied Science in Surveying Technology, in 1984 from Southern Illinois University with a Bachelor of Science in Industrial Technology, and in 1988 from Lesley College with a Master of Science in Management with a concentration in microcomputer applications. Chief Porter received the AFELM OJT Manager of the Year Award for 1983, and DMA Airman of the Year Award for 1983 and 1985. Chief Porter is authorized the following decorations: Joint Service Commendation Medal with one Oak Leaf Cluster, AF Commendation Medal, Joint Achievement Medal, Joint Meritorious Unit Award, AF Outstanding Unit Award, AF Good Conduct Medal with four Oak Leaf Clusters, National Defense Service Medal, AF Longevity Service Award with three Oak Leaf Clusters, and USAF NCO PME Graduate with two Oak Leaf Clusters. He was promoted to chief master sergeant November 1, 1988, with same date of rank. Airman (Amn) Porter was reassigned to the 1st Geodetic Survey Squadron, at Francis E. Warren Air Force Base, Wyoming, as an Astronomic/Geodetic Surveyor. During this time he was promoted, and achieved the rank of Sergeant. He applied his knowledge of field surveying methods and accomplished observations, field computations and recordings for triangulation, astronomic azimuth, astronomic position, distance measurements, precise leveling and traverse measurements. He checked the validity of all field data and ensured that it met required criteria. 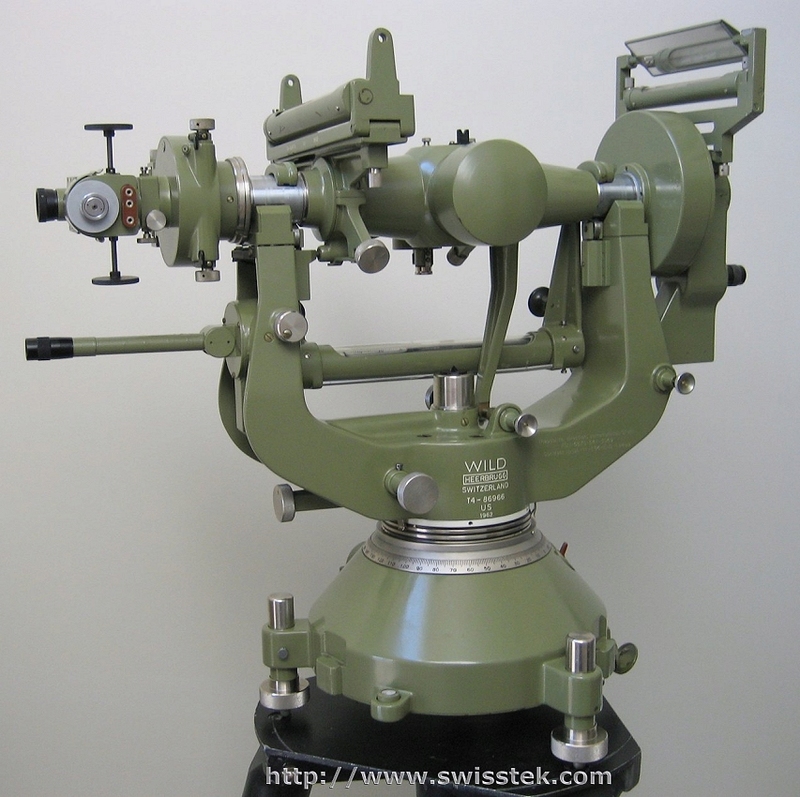 He used and cared for survey equipment, constructed and used instrument stands, used observing towers, and installed station, azimuth and reference monuments. Sergeant (Sgt) Porter also administered training and maintained On-the-Job Training (OJT) and proficiency records on assigned personnel. Sergeant Porter was reassigned within the organization, at Francis E. Warren Air Force Base, Wyoming, as a Geodetic Survey Team Noncommissioned Officer-In-Charge (NCOIC). During this assignment, he was promoted to Staff Sergeant (SSgt) and then to Technical Sergeant (TSgt). 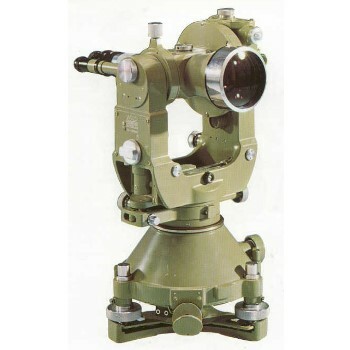 In this capacity, TSgt Porter supervised teams of surveyors in the accomplishment of numerous horizontal and vertical geodetic control surveys, and determination of astronomic azimuth, deflections of the vertical, geoid heights, and position. He both performed and supervised field observations and computations, checked the validity of all field data and insured that it conformed to accepted criteria. He scheduled team operations, performed field maintenance and adjustments on precision survey equipment. As NCOIC he also administered training and rendered reports on all phases of team activity, and maintained OJT/Proficiency records and charts. TSgt Porter was well-recognized as an expert in the use of geodetic observational and measuring equipment, and for his ability to analyze and develop solutions to a variety of geodetic problems. 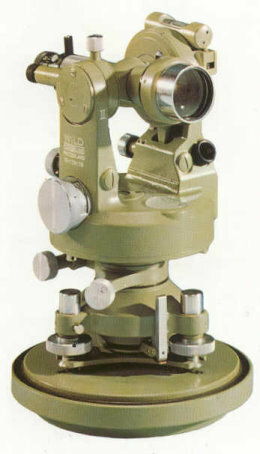 This was clearly demonstrated by his selection as team chief for a variety of projects using nearly every geodetic discipline, for example: project COBRA BALL conventional survey with critical time limitations; observer for astronomic position survey for an OCONUS NASA tracking station for the APOLLO‑SOYUZE (Экспериментальный полёт «Союз» — «Аполлон») project under the pressure of intense public interest; Special Mission Tracking Project observer using the AN/PRR‑14 GEOCEIVER to track NNSS and BEACON geodetic satellites in the British Indian Ocean Territories conducting research in fundamental geodesy where he was commended for skill and resourcefulness in coping with an unprecedented situation of performing depot‑level repairs in the field; performed Doppler point positioning throughout the Western U.S. using a JMR-1 Doppler satellite surveying receiver where he was commended for skill and resourcefulness in coping with the unprecedented situation of radio frequency interference to electronic range rates; Minuteman Astronomic Position Upgrade project where he was commended for leadership and tact leading three survey parties; astronomic observations and field computations for project GIANT PATRIOT; inertial Azimuth Laying Set Certifications where he demonstrated superior ability to use geodetic observational and measuring equipment; and annual Minuteman Missile Check Surveys where Sergeant Porter was again commended for the ability to get work done under pressure. These projects demonstrate working with and through foreign, federal, state and local governments. Conducting these, and many other, precise surveys required using a variety of equipment, including, but not limited to, theodolites (Wild T0, T2, T3, T3a, T4, and Kern DKM3), levels (Wild N3 and Zeiss Ni2), electro‑optical/electronic/laser measuring equipment (AGA Geodimeter Model 4D, 4L, 6, 8, Cubic ELECTROTAPE Model DM-20, Hewlett‑Packard HP‑3800B Distance Meter), and satellite range rate receivers (GEOCEIVER and JMR-1). Technical Sergeant Porter was again reassigned within the organization, as a DoD DMA Geodetic Computations Technician. During this assignment, he checked and extracted astronomic and geodetic data from field books; set up data for electronic computers, performed geodetic and astronomic computations and adjustments, transferred data from electronic computer files to final data products, and checked and analyzed the results of computed data accurately using redundant calculations or other methods sufficient to detect errors before delivery to the customer. He developed new and innovative techniques for geodetic and astronomic computations and programmed data reduction methods for machine computations. He supervised assigned personnel and ensured classified material was safeguarded and handled properly by all personnel. TSgt Porter was selected for a special detail to the Data Acquisition Branch to both record and train recorders because of his detailed expert knowledge of observational techniques, equipment and procedures. The Astronomic Position Capability Study, which received international attention, was one of his most significant achievements. TSgt Porter was repeatedly recognized for his part in this project for a variety of significant elements including the ability to plan, organize, and coordinate the work involved, his ability to function under pressure caused by both time limitations and intense public interest, his resourcefulness to cope with unusual situations, and his ability to analyze and develop solutions to special problems in geodetic astronomy. TSgt Porter was recognized for significant contribution to authorship of Technical Report No. 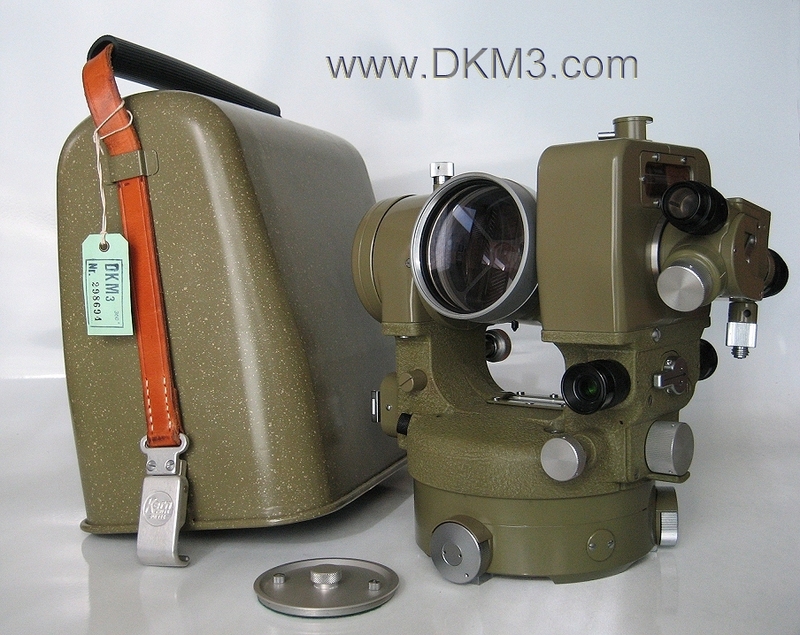 DMAHTC 79-002, "Astronomic Position Accuracy Capability Study," which is widely recognized as authoritative in the field. TSgt Porter received recognition within the geodetic community and received professional awards for his accomplishments, along with the highest possible performance ratings on each of the two annual appraisals covered during this period. Technical Sergeant (TSgt) Porter was reassigned to the Defense Mapping Agency's Defense Mapping School (DMS) Geodetic Survey Division, at Fort Belvoir, Virginia, as a DoD Joint Activity Instructor. Because of TSgt Porter's expert ability to use geodetic observational and measuring equipment, he was selected to serve as an instructor for the Basic Geodetic Survey (BGS) Course, annually training 160‑-200 students. This course of study qualifies active duty, reserve and national guard members of the Army, USMC, and USAF in military surveying/geodetic occupational skills, and trains government sponsored DoD civilians and allied nation students. Because of his expert knowledge of advanced geodetic techniques and equipment, he instructed the Advanced Geodetic Survey (AGS) Course, which trains advanced survey skills to Army, USMC and USAF NCOs, Warrant Officers and DoD civilians. He supported other organizations' technical and training programs through doctrine and literature review, applied research, and new equipment assessment. He wrote and reviewed lesson plans, examinations and instructional material (student handouts, workbooks, programmed instructions, audio‑visual media, etc. ), and reviewed and analyzed technical aspects of survey or survey related job specialties in each military service. TSgt Porter was selected for formal platform presentations because of his superior ability to make technical presentations; he provided instructed on conventional horizontal and vertical control surveys, astronomic, satellite, inertial and gravimetric survey equipment, techniques, and computations. He administered written examinations and hands‑on tests, and served as academic counselor for students. He identified, isolated and resolved technical and operational issues by successfully working closely with other faculty and staff. He developed and assisted in development of methods for incorporating microcomputers into course curriculum. During this assignment he was promoted to Master Sergeant (MSgt), and received professional recognition and awards for his accomplishments, including both Senior and Master Instructor certification. He received maximum ratings on each of the four anual performance appraisals covered during this period. Master Sergeant (MSgt) Porter was again reassigned to Defense Mapping Agency Hydrographic/Topographic Center (DMAHTC) Geodetic Survey Group (GSG), at F.E. Warren AFB, WY, as Geodetic Superintendent and Data Reduction Division Noncommissioned Officer-In-Charge. During this period he was promoted to Senior Master Sergeant (SMSgt), and then to Chief Master Sergeant (CMSgt). He used his geodetic experience to plan, organize, and coordinate the work programs of Division geodesists, geodetic technicians, computer programmers and system analysts, mathematicians, U.S. Army topographic surveyors, and U.S. Air Force geodetic surveyors. He provided advice on time and manpower requirements and appropriate computational methods. Chief Porter managed and monitored the quality control procedures of geodetic data received, processed, analyzed, and published within the Division, including specialized statistical studies. 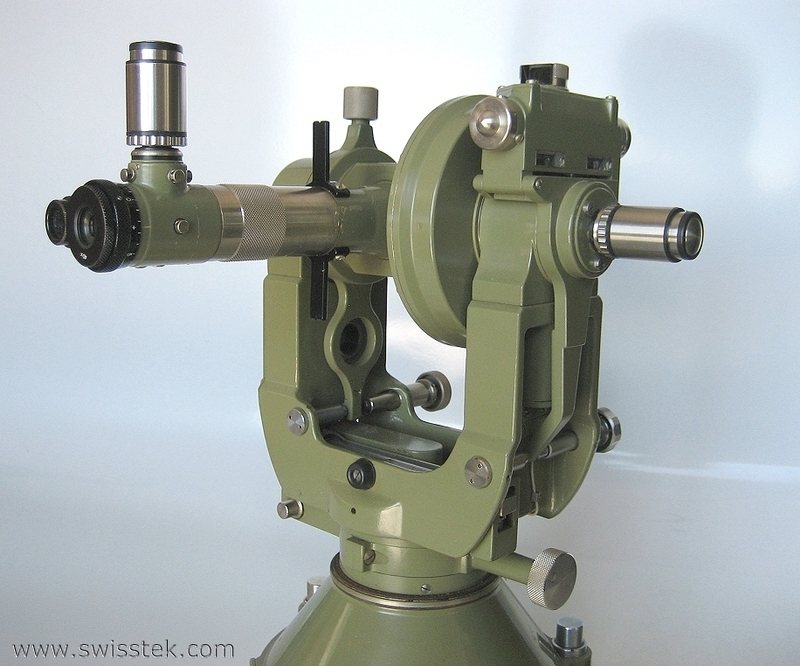 CMSgt Porter developed new techniques for conventional geodetic, gravimetric, inertial, satellite, magnetic and astronomic computations, which required a keen ability to analyze and develop innovative solutions to unique problems in geodesy. Chief Porter routinely performed transformations between coordinate systems and determine transformation parameters using observed data, multiple regression equations, and 180x180 harmonic coefficient sets. He developed, wrote software, and installed a complete, automated data collection and transmission system for underwater gravity in the southeast U.S. He co-developed a system of gravimetric programs for data collection and reduction in a field environment. He co‑-developed and installed a system to automate the reading and preprocess Magnavox MX‑1502 Navy Navigation Satellite System (NNSS) Transit Satellite Doppler geodetic point positioning data. He was the sole military member of a team of geodesists performing state-of-the-art computations and quality control, which determined deflections of the vertical and geoid heights for more than 1,000 operational ICBMs. He was selected for this project because of my ability to function under the pressure of extremely critical suspense dates. He was commended for his resourcefulness in coping with an unprecedented situation when he developed a 3-dimensional gravity gradient program for Trident ICBM testing. Chief Porter has been recognized for his knowledge of geodetic techniques and equipment for a state-of-the-art star tracker, then under development. He applied knowledge of geodetic techniques, equipment, and geodetic observational and measuring equipment when he prepared and presented a plan which provided cost estimates and schedules for a 120,000 mile-‑long rail garrison survey. Geodetic and geophysical (G&G) support was also provided to a variety of weapon systems and instrumentation including: ground truth for JSTARS testing, MX Peacekeeper Rail Garrison, Minuteman and Trident ICBMs, SRAM, ALCM and Tomahawk (SLCM) missile systems. CMSgt Porter has received numerous commendations for the clarity, accuracy, and thoroughness of his geodetic technical reports. He managed checking and analysis of results of geodetic and geophysical data computed by other geodesists for technical accuracy and sufficiency. Chief Porter authored a paper for presentation to the American Congress on Surveying and Mapping (ACSM), which (although unpublished) has since been cited in other research works. He was back‑up system manager for the Group's DEC VAX 11/780 superminicomputer. He has performed computations and analysis on numerous large‑scale horizontal and vertical survey adjustments, some covering several states or national in scope. He developed and assisted in development of micro-‑ and mini‑computer programs for specialized geodetic and geophysical data reduction and analysis in FORTRAN, BASIC, and assembly programming languages. He was a member of numerous ad hoc committees for special studies, including the WGS84 Implementation Committee. CMSgt Porter received the Air Force Element Command (MAJCOM) Unit OJT Manager of the Year Award (1983), and DMA Airman of the Year (SASMOY) Award for 1983 and 1985. He was Leader/Facilitator of the WHIPS (We’ll Help Improve Productivity Selectively) Quality Circle 1986-88. Chief Porter received both awards and recognition in the profession for his accomplishments, and received the highest possible performance ratings on each of the seven annual appraisals covered during this period. This series includes professional positions requiring primarily application of the principles and techniques of geodesy. The work includes determining the size and shape of the earth and its gravitational field, measuring the intensity and direction of the force of gravity, and determining the horizontal and vertical positions of points on the earth and in space, where consideration of the curvature of the earth is required. Titling: The basic title for this occupation is Geodesist. This is the “first full performance” grade for professional positions in the physical sciences. That is, grades GS-5 and GS-7 are intended to cover work that is performed within strict limits and under relatively detailed supervision and, for professional positions, these grades are intended as training levels only. GS-9, on the other hand, may be the full performance target grade for some work settings. The most obvious GS-9 work assignment is independent responsibility for applying established technology in routine ways to well-defined, moderate sized physical science projects, but GS-9's might also work in support of larger projects using less established technology. GS-9 scientists plan and carry out routine work. They select and make minor adaptations to procedures and accepted practices and handle unexpected conditions arising in the normal course of the work. For recurring assignments, GS-9 scientists are responsible for organizing the work, following prescribed methods and guidelines, and recognizing conditions and results that may affect the findings. 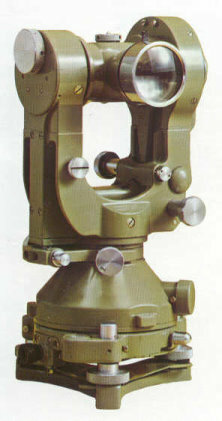 By comparison, GS-7's are held accountable primarily for the accurate application of standard methods, techniques, and procedures. GS-11 professional physical scientists plan and execute complex studies. These studies usually involve intensive investigations into one or more recognized phenomena. The work typically involves conventional methods and techniques, though going beyond clear precedents, and requires adapting methods to the problems at hand and interpreting findings in terms of their scientific significance. Finished products are reviewed for adequacy of conclusions and soundness of the procedures and methods used. Assignments generally do not involve radical departures from past practices or require the development of new, novel or innovative approaches, methods or techniques. By comparison, GS-9 scientists perform assignments that have fewer variables and produce relatively obvious results and conclusions. Some GS-11 scientists provide technical guidance and instructions to lower graded professional or technical employees generally for the duration of a given assignment. Work assignments at this level typically involve planning, executing, and reporting on original studies or ongoing studies requiring a fresh approach to resolve new problems. The complexity of assignments requires extensive modification and adaptation of standard procedures, methods, and techniques, and development of totally new methods and techniques to address problems for which guidelines or precedents are not substantially applicable. Assignments at this level typically include considerable breadth, diversity, and intensity; varied, complex features; and novel or obscure problems. By comparison, GS-11 scientists have complete responsibility for conventional projects where existing guidelines, approaches, and techniques are adequate or adaptable. The work requires considerable initiative and resourcefulness. Completed work is reviewed primarily for general acceptability and feasibility in relation to the overall program. Scientific recommendations are normally accepted as sound without close review, unless matters of policy or program resources are involved. Study reports and scientific papers are considered to be authoritative scientific documents. Following retirement from active duty in the USAF, Mr. Porter continued serving his country with the Defense Mapping Agency, at Warren AFB, Wyoming as a Geodesist (GS-1372). He started September 11th, 1989 with a career-conditional appointment as a GS-11 step 1. He competed for a position as Supervisory Geodesist and was selected October 22nd, 1989 with a career-conditional appointment as a GS-12 step 1. He supervised, exercising the full range of supervisory duties for fifteen highly-technical professionals, including geodesists, geodetic technicians, U.S. Army topographic surveyors, and U.S. Air Force geodetic surveyors and geodetic officers. He and his Branch provided geodetic and geophysical (G&G) support for a variety of weapons, weapons systems, and special projects including: Desert Shield and Desert Storm. He planned, directed, coordinated, and supervised Branch activities with and through subordinate team- and project leaders for data processing and computer support. Bruce was a program manager for all data processing and analysis, programming and operation of the GPS computer facility. He administered a networked Unix ADP installation for GPS computation, adjustment and analysis. He directed software development, modification and maintenance to support ADP and databases. Mr. Porter performed computations and analysis using a variety of VAX/VMS, UNIX, and PC hardware and software. Bruce used his expertise to ensure geodetic and geophysical products provided traceability and met DoD MC&G requirements. Because of his continued dedication to quality, he participated in organization's Total Quality Management (TQM) process improvement program 1990‑-91. Continuing with the Defense Mapping Agency, which became the National Imagery and Mapping Agency, he was transferred to White Sands Missile Range, New Mexico, where he was a Lead Geodesist (GS-1372-12 step 3) and Information System Security Officer. 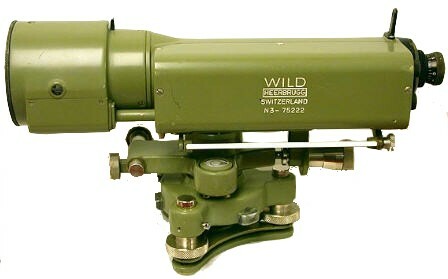 Bruce managed an eight-person geodetic production element consisting of geodesists and survey technicians, and provided geodetic and geophysical (G&G) support to a variety of weapons, weapons systems, and instrumentation including: National Aeronautics and Space Administration (NASA) Microwave Scanning Beam Landing System (MSBLS), Tracking and data relay satellite (TDRS) and BLACK BRANT sounding rockets, MIM-104 PATRIOT surface-to-air missile (SAM) system, FIM-92 STINGER personal portable infrared homing SAM, MGM-140 Army Tactical Missile System (ATACMS) surface-to-surface missile, Brilliant Anti-Tank (BAT) missile-dispensed submunition, MGM-166 LOSAT (Line-of-Sight Anti-Tank) surface-to-surface missile system, Navy RIM-66 -67 -156A Standard Missile (SM‑2 family) shipborne guided missiles and RIM-7 SEA SPARROW ship-borne short-range anti-aircraft and anti-missile weapon system on the USS Desert Ship (LLS‑1), Tactical High Energy Laser THEL, High Energy Laser System Test Facility HELSTF Mid-Infrared Advanced Chemical Laser MIRACL directed energy deuterium fluoride laser weapon and SEALITE Beam Director, Theater Missile Defense Ground-Based Radar (TMD-GBR) ground-based, air transportable sensor that provides search, tracking and discrimination capabilities for THAAD, Theater High Altitude Area Defense (THAAD), MIM-104F Patriot Advanced Capability-3 (PAC-3), БМ-21 "Град" (Grad) 122-mm Katyusha mobile rocket launcher, M270 Multiple Launch Rocket System (MLRS), Extended Range (ER)‑MLRS, MQM-8G VANDAL target missile and MGM-52 LANCE mobile field artillery tactical surface-to-surface missile (tactical ballistic missile) system launchers, ASR‑9 (AN/GPN-30 Digital Airport Surveillance Radar), AN/FPS-16 ground-based monopulse single object tracking radar (SOTR), AN/FPS‑14 medium-range radar, AN/MPS‑36 Multiple Object Tracking Radar (MOTR) and Weibel Scientific Continuous Wave (CW) Doppler radars, Cinetheodolite Electro Optical Tracking System, Kineto Tracking Mount (KTM) System and fixed (i.e., non-tracking) cameras. In day-to-day work he established schedules, assigned work, and exercised control over production programs, products, and activities for acquiring, computing, and distributing G&G data. He negotiated with current and potential customers to determine program and product requirements including cost and error budgets, deliverables, schedules, etc. Mr. Porter implemented, integrated and supported systems for product level analysis, design, development, testing, and supporting an integrated strategy. Mr. Porter applied his knowledge of a variety of systems, applications, interfaces, and network design, to specific project requirements. He was frequently recognized for his sound analytic skills in highly technical & sensitive situations, his demonstrated excellent interpersonal, communication and organizational skills, and his ability to interact with personnel at all organizational levels. He provided technical assistance in production support, security, problem determination, networks, communications, operations, implementation, and end-user service. He ensured integrity, quality, quantity, timeliness, accuracy, and technical sufficiency of the organization's products. Mr. Porter was recognized for providing exceptional customer service with a strong focus on high quality service. Bruce instructed personnel on PC and networked computer operations. He was recognized frequently for effective written and oral communication skills, and demonstrated negotiating skills. Mr, Porter participated with the Range Commanders Council Joint Range Instrumentation Accuracy Improvement Group (JRIAIG), and was a Subject Matter Expert on contracting teams and personnel panels. He completed his civil service at White Sands Missile Range as (pay conversion) GS-1372 Pay Band 3. Minerva Engineering, Mesa, AZ recognized Bruce's special skill set and brought him on-board as a Principal Systems Engineer & Training Specialist. He performed analysis, requirements definition and management, quality assurance (QA), configuratiion management (CM), data management (DM), and created written documentation for a variety of hardware and software projects. Bruce ensured compliance with applicable Capability Maturity Model (CMM)/Capability Maturity Model Integration (CMMI) and IEEE/EIA 12207 standards for software lifecycle processes. He was a key participant in registration as an ISO 9001:2000 organization, engineering problem solving, development and implementation of risk mitigation strategies, keeping programs on schedule, leadership in improvement of processes, and cross-discipline project performance optimization. He also participated as a team member in Business Development activities (e.g., RFI responses, white papers, proposals), and applied his familiarity with International Traffic in Arms Regulations (ITAR) regulations and The Wassenaar Arrangement on Export Controls for Conventional Arms and Dual-Use Goods and Technologies. Mr. Porter developed a Minerva-created software application into a tool to manage all aspects of project proposal development and project management (e.g., Action Items, Meeting Minutes, Configuration Items, Change Requests, bi-directional requirements traceability). He developed templates and created special documentation required for Software Development Plan (SDP), Quality Program Plan (QPP), Configuration Management and Control Plan (CMP), Risk Management Plan (RMP), Software Requirements Specification (SRS), Software Design Description (SDD), Software Test Plan (STP) and Report (STR), Software Test Description (STD), Software Product Specification (SPS), Software Version Description (SVD), and Physical Configuration Audit (PCA). Used Microsoft® Project and Office Suite software to create project status reports, schedules, and other presentations. Bruce performed analysis, requirements definition and management, and authored plans and documentation for several real-time processing (RTP) embedded software development information assurance projects, including public and private key generation and key & certificate management supporting Finite Field Cryptography (FFC), Elliptic Curve Cryptography (ECC), and other schemes. Mr. Porter provided oversight during project design, development, integration and testing activities to assure designs were technically sound and met requirements and regulations. He captured and maintained generated project artifacts, and performed QA managerial duties independently or with limited supervision. Performed analysis, architecture, requirements definition & management, SW/HW/SYS integration & testing, and wrote plans, schedules and supporting documentation deliverables for the Air Force Research Laboratory’s Joint Terminal Attack Control (JTAC) Virtual Trainer (VT) Tactical Air Control Party (TACP) Close Air Support (CAS) toolkit subsystems, including AN/PRC‑117F(C) Multiband, Multimission Manpack Radio (MBMMR), AN/PRC‑148(V)2(C) (Urban) Multiband Multimode Inter/Intra Team Radio (MBITR), AN/PSN‑13 Defense Advanced Global Positioning System (GPS) Receiver (DAGR), AN/PSN‑11 Precision Lightweight GPS Receiver (PLGR), emulated M22 Binoculars, emulated AN/PEQ‑1B Special Operations Forces Laser Marker (SOFLAM) and emulated Mark VII Eyesafe Miniature Laser Target Locator, LabMate 12 Channel L1/L2 GPS Constellation Simulator, hybrid ultrasonic and inertial 6‑DoF tracking system, ViaSat TS‑4528A Demand Assigned Multiple Access (DAMA) Orderwire Channel Controller Trainer / Simulator (DOCCT/S) system, and AN/CYZ‑10 and TSEC/KOI‑18 Common Fill Devices. The JTAC VT is a fully-immersive, high-fidelity 360 x 180-degree field-of-view dome in a Distributed Mission Operations (DMO) environment. Performed similar analysis, requirements definition & management, integration and testing, and documentation for the AFRL’s JCAS Deployable Garrison Sensor System project. Applied Instructional Systems Design (ISD) to develop curriculum, course material, and presented formal and informal training as Instructor for a major defense contractor for the KO‑9 Multifunction Cryptographic System, and the AN/USC‑61(C) Digital Modular Radio (software-defined radio) at factory, U.S. and overseas locations. Authored draft software quality assurance report for the F/A‑22 Raptor’s multi-function KOV‑20 next generation mission data encryption system. Developed course material and provided training on topics including: JTRS SCA SDR, cryptography, equipment operation, software maintenance procedures, troubleshooting and fault isolation, electrostatic discharge (ESD) methodology, module remove-and-replace procedures, and waveform theory (i.e., AM/FM/FSK/PSK/DESBPSK, frequency hopping, VHF/UHF/SATCOM/DAMA waveforms, encryption, and TRANSEC/COMSEC/INFOSEC). Developed Built-In Test and troubleshooting course material for multimedia computer-based training, Interactive Electronic Technical Manual, formal classroom presentation, and call center help desk use. Developed documentation and procedures for customers, engineers, and system integration teams to: upgrade software, flash firmware, perform in-phase and quadrature noise and gain calibration, system output calibration, and participated in weekly video teleconferences with primary customers. Conducted Technical Peer Reviews for drawing and product release. Edited and updated User Manual for the “Type 1 Sectéra Secure Module for GSM.” Assisted with Failure Mode, Effect and Criticality Analysis (FMECA), system installation and technical manuals, computer based training, software beta testing, technical memos and documentation peer review. Authored factory Principles of Operation maintenance manual for the AN/PRC‑112G Combat Search and Rescue (CSAR) Transceiver in the HOOK2 GPS CSAR System. Taught use of AN/CYZ‑10 to load KEYMAT with DS‑101 and DS‑102 protocols, use of Telecommunications Techniques Corporation (TTC) FIREBERD® 6000 Communications Analyzer to pass bi-directional traffic with TSEC/KG‑84] encryption, and used TSEC/KWT‑46 to pass traffic to an encryptor emulating a TSEC/KWR‑46. The story on the heliotrope may be of interest to field surveyors; the ones we used had MUCH SMALLER mirrors. First-hand information. Entered by Bruce Porter at registration. Maternal relationship is confirmed with a 23andMe test match between Connie (Bocek) Perry and Bruce Porter, third cousins. Predicted relationship from 23andMe: "Connie Perry is Bruce Porter's 3rd Cousin (predicted) based on 0.47% DNA shared across 3 segments (chromosomes 9, 14, and 22)." Bruce Porter shares Maternal Haplogroup H1 with Connie Perry, which may indicate a common direct female ancestor (Sarah Jane (Symmonds) Sams). ↑ Nelson, Warren. "Air Force Wants To Fire ICBMs From Montana." St. Petersburg Times 29 Dec. 1973: 1-A. Print. ↑ Smith, A. Robert. "Minuteman tests over Northwest blocked for year." Eugene Register-Guard 7 Jun. 1974: 1A. Print. ↑ The serial number on Bruce's favorite T4 was twenty-two higher than this one. The casual observer will notice both the "Horrible-Terrible" bubble assembly (for the Horrebow-Talcott method of latitude determination) and the split-level bubble (for the Sterneck method of latitude determination). For access to Bruce Porter's full information you must be on Bruce's Trusted List. Please login. See the Contact section of the Tree & Tools page. 23andMe tested -- GEDMatch listed. Do we share a genetic heritage? Hey thanks for approving my "trusted list" request! I'd like to invite you to join in the "Weekend Chat" on G2G Today! Share personal successes, stories about ancestors, tips, projects you are working on, or anything else you wish. New members stop in and say Hello, introduce yourself, share your story, or ask for help. Pilots, Mentors, and Leaders of all kinds please add something... your advice is always greatly appreciated. On Joshua Moore. There are 2 nearly exact graves in Clinton County separated only by 1 day in birth but died on the same day. One is in the Friends Cemetery, the other in Sugar Grove. I'm going to Wilmington this weekend. Maybe the gravestones, themselves, will help clear it up. Hi, I have been working on the Potts also (husband side) I have gone back to Johnna George (Batz) Potts came to US 1732 on the ship Pennsylvania. I have a lot of errors I know (some males with two different first names) but will figure it out. ANyways, your potts and mine are the same. Thanks. Hey Bruce - I saw you posted a message on the profile I created several years ago for Sullivan Ballou. Do you want to be added to the trusted list so that you can make edits? Thanks Bruce for cleaning up my messes! I'll figure this out soon. There is a slight learning curve and so far I haven't found much "help/directions". I am still having trouble getting around as everything seems to open in a new window, then I can't figure out what I"m fixing and who I'm fixing something on! Bruce, a late reply to your profile note from Mar 2015. It looks like Mustain-7 and Mustain-30 may have been merged. There is now only one Avery Mustain (Mustain-7) with the correct birth year and no Mustain-30 when I search. Thanks! Thanks Bruce but my wife has no idea past her great grandparents who were Benjamin Harrison Logue and Ida Logue, maiden name unknown. Thanks for what you are doing and good luck! Hi Bruce - sent this via Private Message but bounced back to me. Is your email still OK? or is it me? Please make sure they both show "approved". Let me know if a problem. Bill thank you so much again. I have copied a list of Baer genealogies, triggered by your W-Tree note to me. If any of your Baer (Bar w/ umlaut-a) people are from the Black forest region (Baden, or Baden-Wuerttmberg, will you please let me join your Trusted list. In anc.com the line leads back into the 1700s, and I could, if you need it, give you more information about that line. Blessings and happy Thanksgiving !! I have a Chief Master Sergeant for a cousin? How cool is that!!! Welcome, cousin! Hi Bruce, As a reminder, we respect copyright laws and for that reason, we do not copy and paste from other website, such as FindaGrave. If you want to add the information from FindaGrave, just summarize the information and then send people to the link. Thanks for helping improve Wikitree. See http://www.wikitree.com/index.php?title=Levering-91&public=1 as an example. Unfortunately the FindaGrave quote was direct from a published book, so truly copyright infringement. CMSgt Bruce Porter, Thank you for your service!! I was once stationed at Patrick Air Force Base in Florida. Also Germany and Thailand. I retired myself after 20 years of service in the US Army. Now I work with the Vietnam Veterans of America Chapter in my area and serve in the Honor Guard. Welcome to the Connectors Project! Be sure to check out the Connectors project page to see some of what we do, our To-Do lists which have folks who need connected to our Global Tree, and please add the connectors tag to your G2G feed. Thanks for joining us! Thanks for all your help - and thanks for anything I missed. I'd like to invite you to join in the "Friday Chat" on G2G Today! Share personal successes, stories about ancestors, tips, projects you are working on, or anything esle you wish. I figured it out. We are 6th cousins twice removed. I noticed your new Club 1000 Club badge for March 2015. Hello Chief Porter: Welcome to the site, I hope that you will enjoy it. I see that you are the profile manager for some of your Evans family relatives. My Evans family branch settled in West New Jersey in 1682, then migrated to Warren, Ohio and then to Wayne County, Indiana. What states did your Evans family live in? Have a great day. Thank you for the merge, I guess you are my uncle! :) Cheers! I am a descendant of Wallace Scott Odell from his eldest son named Leroy Thomas. It took us decades to figure it out until we were able to trace the entire lineage. Would it be possible to be given access to Wallace's page so that I may add our family's line? Thank you for joining WikiTree. As a WikiTree Mentor I am available to answer any questions or help solve any issues you may be having. How is your experience with Wikitree going? Our G2G Forumis searchable or you can post a question there. The Help Index is also an important place to find how to do most tasks. Feel free to ask me via my profile page if you have any questions. I’m glad you found us. To become a full member (aka Wiki Genealogist), you’ll need to sign the Honor Code. For a list of helpful links, please click my name and check out the links I list under my "Greeter" section - especially the Sources links and links to my fellow greeters Debby and Maggie, who have helpful information on their profile pages also. If you get stuck on anything and can't find an answer in WikiTree Help, you can post to the G2G forum or give me a holler. Thank you for joining our collaborative tree! Remember that our mission is to build a global tree with just one profile per person, so please look for duplicates before adding a profile. I am interested in developing connections of my own line with others. The data I collected over the years may fill some interesting voids in the work of others before me. Thank you for visiting WikiTree as a guest ! Bruce is 43 degrees from Graham Chapman, 20 degrees from Janet Wild and 16 degrees from Henry VIII of England on our single family tree. Login to find your connection.